Mississippi law mandates that all children attending school must be vaccinated against certain diseases. All states have similar laws but vary in the number and type of exemptions allowed. Mississippi allows only medical exemptions. 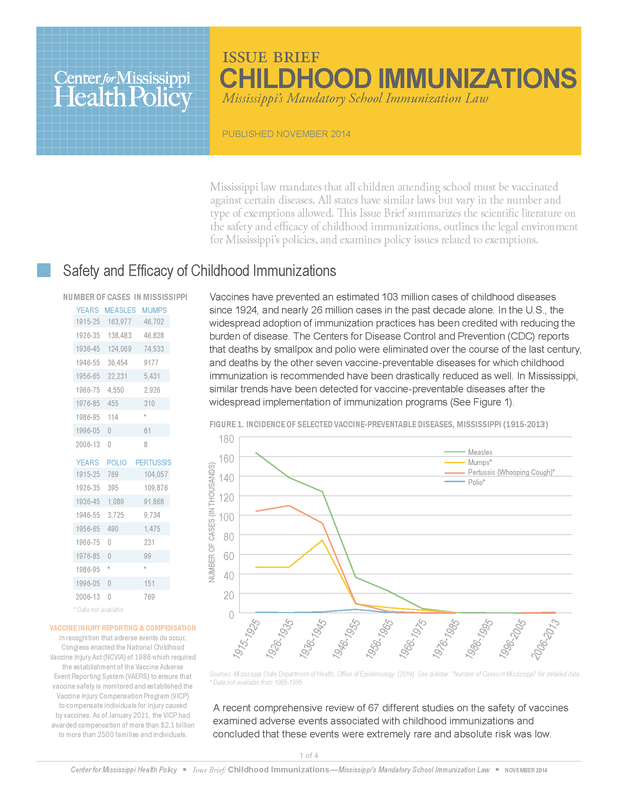 The Center for Mississippi Health Policy has prepared an Issue Brief that summarizes the scientific literature on the safety and efficacy of childhood immunizations, outlines the legal environment for Mississippi’s policies, and examines policy issues related to exemptions. A key focus of the policy analysis is the 1979 Mississippi Supreme Court decision Brown v. Stone that ruled a religious exemption was unconstitutional. 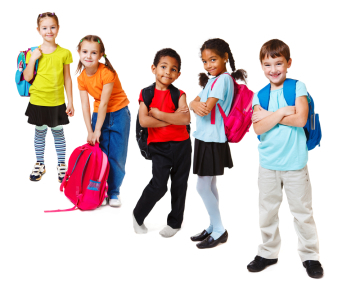 All states have mandatory child immunizations laws requiring vaccination against selected diseases before school entry. Mandatory school immunization laws are based on the concept that a sufficient proportion of children must be immunized in order to protect persons who either failed to develop immunity from a vaccination or were unable to be vaccinated due to age or medical condition. All states allow medical exemptions from this mandate, all but two allow religious exemptions, and nineteen allow philosophical exemptions. Because the Mississippi Supreme Court ruled in 1979 that a religious exemption was unconstitutional (see quotes from the ruling below), Mississippi only allows medical exemptions. Approximately one hundred medical exemptions are granted annually by the Mississippi State Department of Health. There is a direct relationship between the ease of obtaining an exemption and the risk of resurgence in vaccine-preventable diseases. The nationwide trend in state legislative actions since 2009 has been to restrict exemptions. Vaccinations are generally delivered according to a schedule recommended by the national Advisory Committee on Immunization Practices. The actual schedule followed, however, is at the discretion of the parents and their child’s health care provider, as long as the child is immunized prior to school entry. Copies of the issue brief can be downloaded HERE. Printed copies of the issue brief are available by contacting the Center for Mississippi Health Policy at 601-709-2133 or by e-mail at info@mshealthpolicy.com. The Center for Mississippi Health Policy is an independent, non-partisan, non-profit organization that provides objective information to inform health policy decisions.